Description FUEL EFFICIENT 20 MPG Hwy/13 MPG City! 4x4, Chrome Wheels, Onboard Communications System, Satellite Radio, AUDIO SYSTEM, AM/FM STEREO WITH MP3 C... SEATS, FRONT 40/20/40 SPLIT-BENCH, 3-... SEAT ADJUSTER, DRIVER 6-WAY POWER CLICK NOW! 4x4, Satellite Radio, Onboard Communications System, Chrome Wheels. Chevrolet LT w/1LT with BLACK exterior and EBONY interior features a 8 Cylinder Engine with 295 HP at 5600 RPM*. SEAT ADJUSTER, DRIVER 6-WAY POWER, TRANSMISSION, 4-SPEED AUTOMATIC, ELECTRONICALLY CONTROLLED with overdrive and tow/haul mode (STD), AUDIO SYSTEM, AM/FM STEREO WITH MP3 COMPATIBLE CD PLAYER seek-and-scan, digital clock, auto-tone control, Radio Data System (RDS), speed-compensated volume and TheftLock (STD), SEATS, FRONT 40/20/40 SPLIT-BENCH, 3-PASSENGER, DRIVER AND FRONT PASSENGER MANUAL RECLINING center fold-down armrest with storage, lockable storage compartment in seat cushion (includes auxiliary power outlet), adjustable outboard head restraints and storage pockets on Extended and Crew Cab models (STD), ENGINE, VORTEC 4.8L V8 SFI (295 hp [220.0 kW] @ 5600 rpm, 305 lb-ft torque [411.8 N-m] @ 4800 rpm), iron block (STD). Keyless Entry, Privacy Glass, Steering Wheel Controls, Heated Mirrors, Alarm. 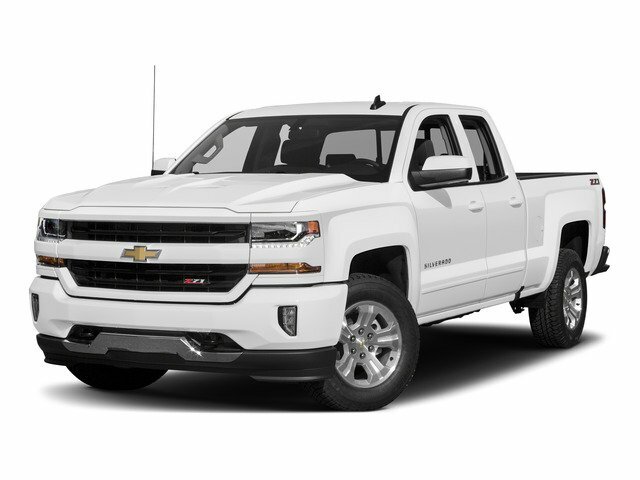 "The Chevrolet Silverado 1500 is pretty much the quintessential modern full-size pickup. It's able to do all the truck stuff you see in the TV ads -- manly tree-stump-pullin' and the like -- while simultaneously being comfortable and upscale enough for daily family use." -Edmunds.com.